The easier your applicator is to use, the more you can maximize your production. You don’t have time to spend figuring out how a difficult-to-use applicator works in your process. And if you did have time, we know you’d rather spend it on other challenges. We get it, and that’s why we think products should be designed to be as easy to use as possible. 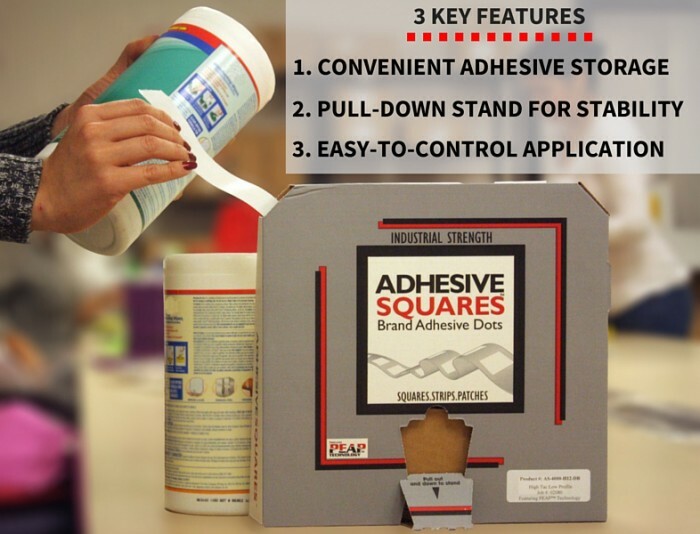 Applying Adhesive Squares double-sided tape straight from the dispenser box is easy, increasing the efficiency of your production process. Just take a look at some of the features our dispenser box offers.